Dassain or Dussehra is the most important festival celebrated by the Regiments. It is a ten-day celebration in honour of the Goddess Shakti, Maa Durga. 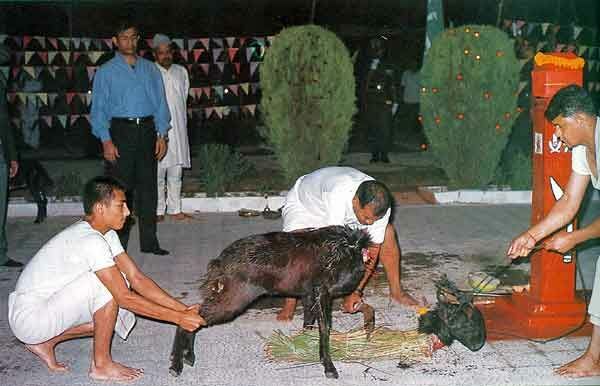 The climax of the festivalis the ceremonial decapitation (sacrifice) of goats and buffalo. The sacrifice of a buffalo is done not with the Khukri but with a much larger weapon called a ‘Khora’, somewhat like a Japanese samurai sword. The sacrifice has to be a clean cut in one stroke or else it is taken as a bad omen for the entire ensuring year. That is why, a skilled person is chosen who, so as to conserve and focus his energies during the ceremonies, fasts and leads an austere and celibate lifestyle for a number of days before the rites are to be performed The Commanding Officer honours this man by typing a Pagri (Turban) on his head as a mark of respect and responsibility for the Paltan’s honour. The festival ends with elaborate traditional theatrical plays and dances that often last late into the night. 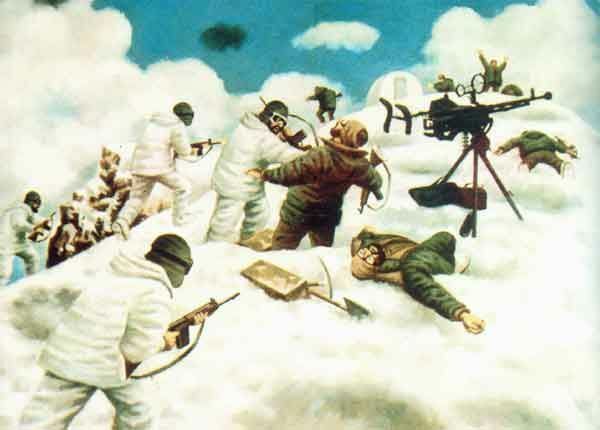 Naib Subedar Bana Singh volunteered to be a member of a task force constituted in June 1987 to clear an intrusion by an adversary in the Siachen Glacier area at an altitude of 21,000 feet. The post was virtually an impregnable glacier fortress with ice walls, 1500 feet high, on both sides. 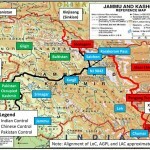 Naib Subedar Bana Singh led his men through an extremely difficult and hazardous route. He inspired them by his indomitable courage and leadership. 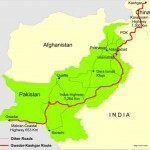 The brave Naib Subedar and his men crawled and closed in on the adversary. Moving from trench to trench, lobbing hand grenades, and charging with the bayonet, he cleared the post all intruders. Nb Subedar Bana Singh displayed the most conspicuous gallantry and leadership under the most adverse conditions. 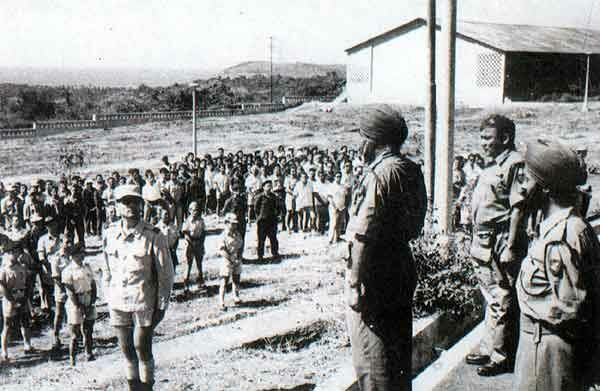 Lieutenant Colonel Sucha Singh, VrC, MC, Commanding Officer 1 Para, accepting surrender of Portuguese troops. Cornered! 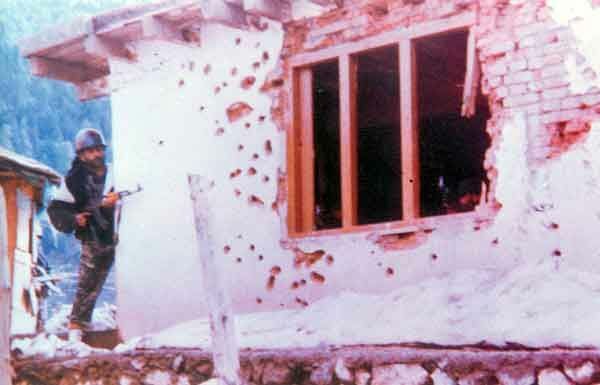 A terrorist holed up in a house in Doda District. 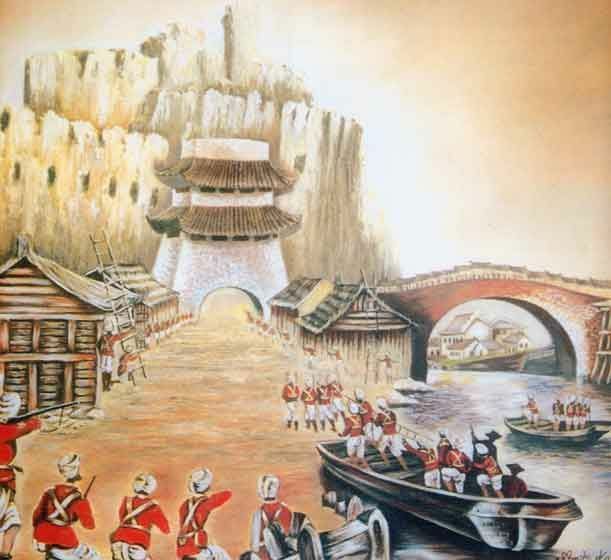 3 RAJPUT cleared the gate forcing an opening and breaking the Chinese siege on the legation for which it was awarded teh Battle Honour China in 1900. Hata mission gate was the most crucial gate to legation quarters in Tartar gate (Peking) and was strongly held by the Chinese. Painting by Amita Kapur. 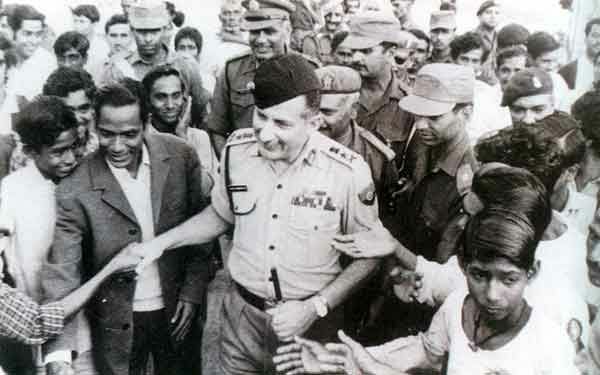 General SHFJ Manekshaw, MC, with the citizens of Bangladesh at Khulna in 1971. 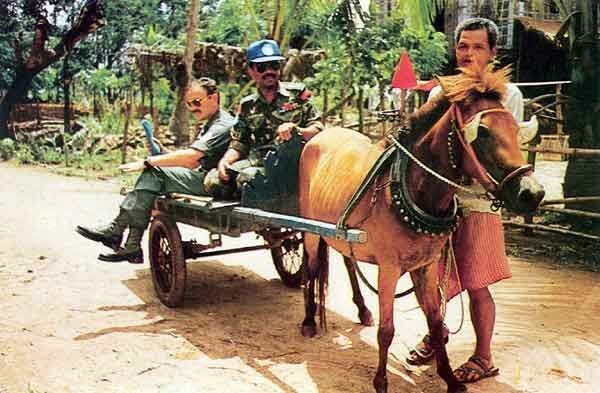 Patrolling can be done by various modes of transportation! 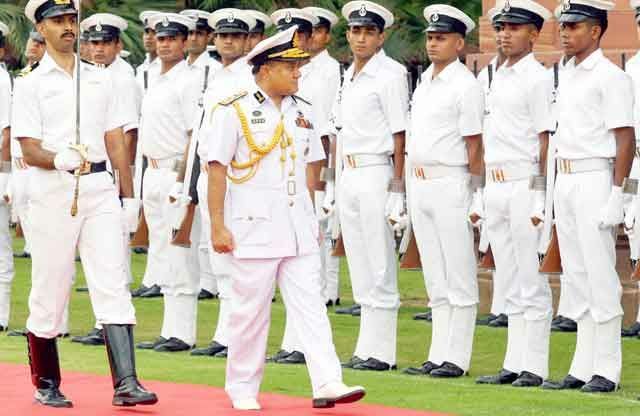 Vice Admiral Zahir Uddin Ahmed, Chief of the Naval Staff, Bangladesh Navy inspecting Guard of Honour at South Block , New Delhi on 09 Jul 2012. 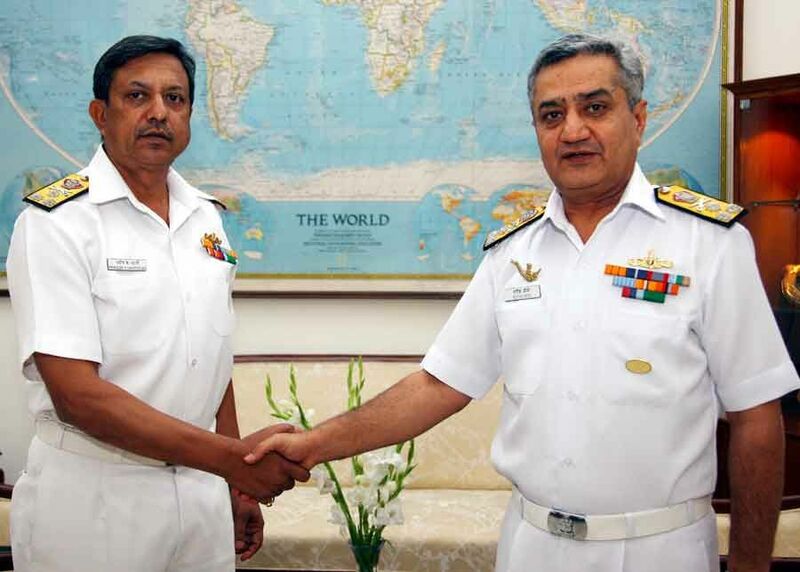 Vice Admiral Zahir Uddin Ahmed, Chief of the Naval Staff, Bangladesh Navy calling on Admiral Nirmal Verma at South Block, New Delhi on 09 Jul 2012. 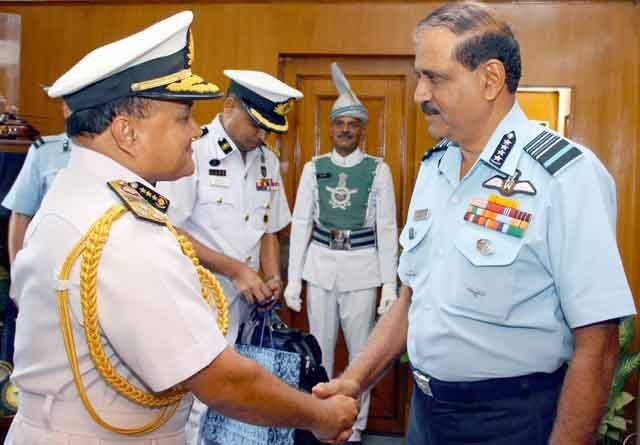 Vice Admiral Zahir Uddin Ahmed, Chief of the Naval Staff, Bangladesh Navy calling on Air Chief Marshal Nak Browne at Vayu Bhawan, New Delhi on 09 Jul 2012. 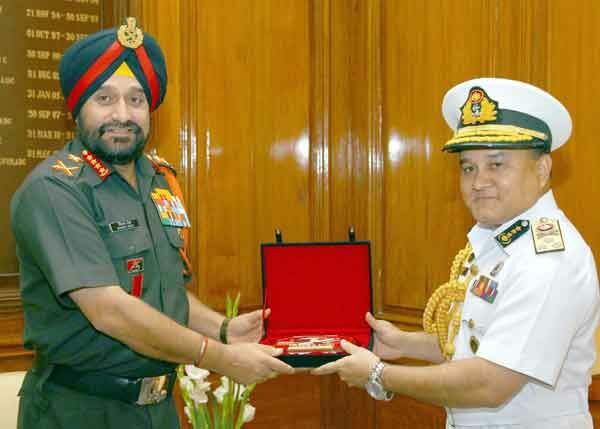 Vice Admiral Zahir Uddin Ahmed, Chief of the Naval Staff, Bangladesh Navy calling on General Bikram Singh at South Block, New Delhi on 09 Jul 2012. 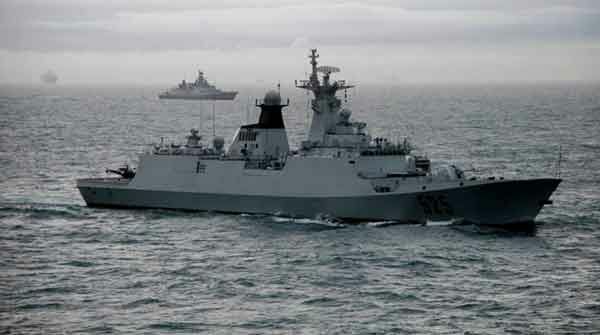 INS Vikramaditya at Anchor In the White Sea (Off Russia). 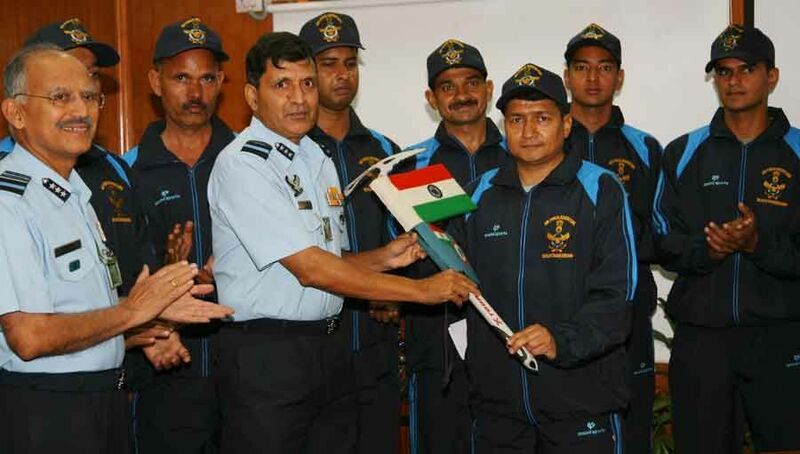 Air Marshal JN Burma, PVSM AVSM VSM, Air Officer-in-Charge Administration, Flagging Off the IAF Mountaineering Expedition to Virgin Peaks in Ladakh Region during the Flagging Off Ceremony held at Air Headquaters, Vayu Bhawan, New Delhi on 20 June 2012. The US Secretary of Defence Mr. Leon Panetta met the Defence Minister Mr. AK Antony on 06 June 2012. Mr. Panetta was accompanied by a ten member delegation, including the US Ambassador to India and other senior officers from the US Department of Defence. The Indian delegation included the Defence Secretary Mr. Shashikant Sharma, Secretary (Defence Production) Mr. Shekhar Agarwal and the Scientific Advisor to the Defence Minister, Dr. VK Saraswat. 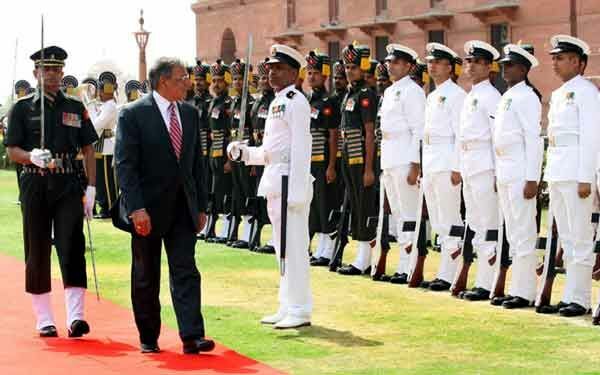 Earlier on his arrival at South Block, Mr. Panetta was accorded a traditional tri-Service Guard of Honour and laid wreath at the Amar Jawan Jyoti at India Gate. General Bikram Singh taking charge as the new Chief of the Army Staff from his predecessor Gen. V.K. Singh, in New Delhi on May 31, 2012. 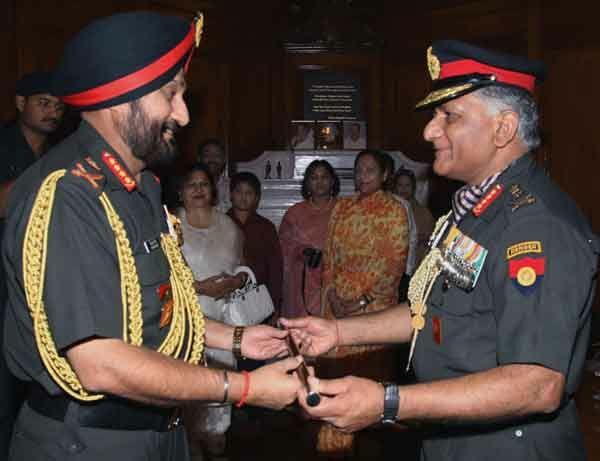 General Bikram Singh assumes charge as the Chief of Army Staff on May 31, 2012. He becomes the 25th chief of the world's second-largest army. He was commissioned on March 31, 1972, into the Sikh Light Infantry (SIKHLI) Regiment. Air Marshal DC Kumaria reviewing the Guard of Honour. 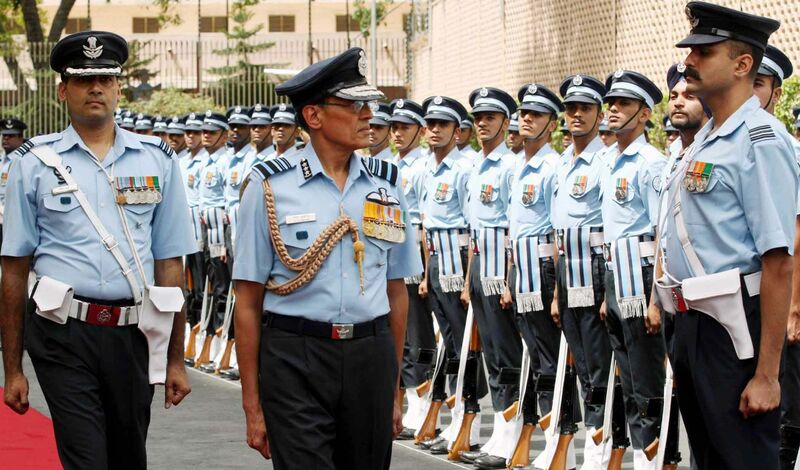 Air Marshal DC Kumaria reviewing the Guard of Honour on taking over as the Vice Chief of the Air Staff at Air Headquarters Vayu Bhawan New Delhi on 01 June 2012. Vice Admiral Satish Soni assumed office as the Flag Officer Commanding in Chief Southern Naval Command at Kochi today. He succeeds Vice Admiral KN Sushil, who retired from the Naval service today after nearly forty years of distinguished service. Vice Admiral Satish Soni was commissioned into the Navy in July 1976. A winner of the “Sword of Honour” and a specialist in Navigation and Aircraft Direction, the Admiral’s important sea commands include commands of Stealth Frigate INS Talwar, Guided Missile Destroyer INS Delhi, Missile Corvette INS Kirpan and Eastern Fleet. Vice Admiral Soni has also been Chief of Staff of Eastern Naval Command and Commandant of the prestigious National Defence Academy at Kahadakwasla, Pune. 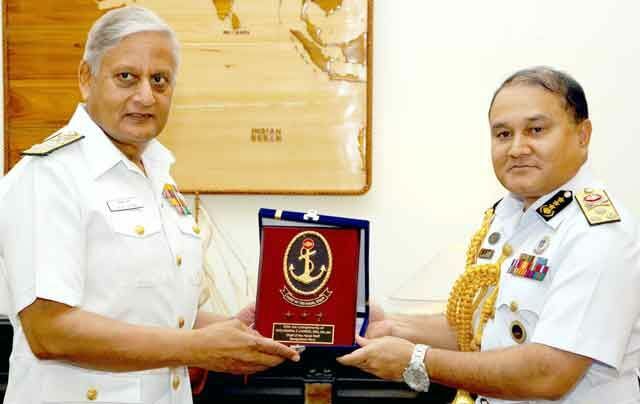 The Admiral has been honoured with Ati Vishisht Sena Medal and Nao Sena Medal. 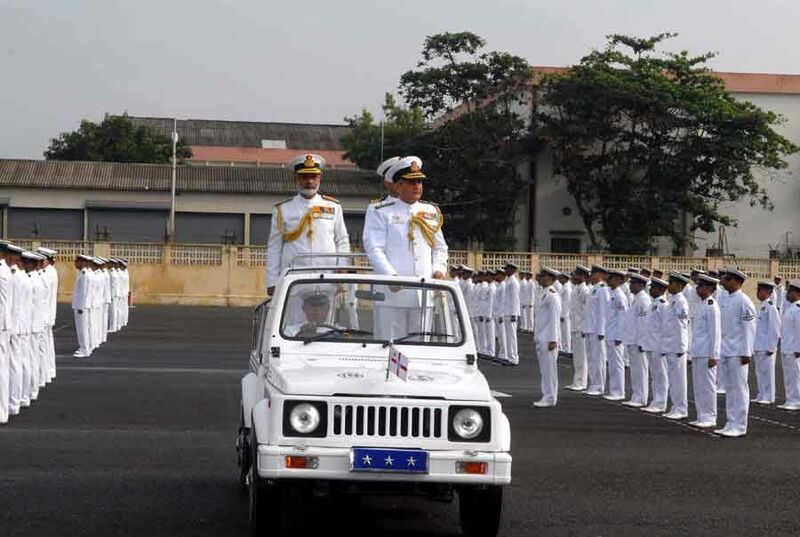 Vice Admiral Pradeep K Chatterjee, AVSM, NM, took over as the Deputy Chief of Naval Staff at the Integrated Headquarters Ministry of Defence (Navy). Vice Admiral Chatterjee becomes the first ever submariner to be at the helm of the Operations Branch of the Indian Navy at the Integrated Headquarters Ministry of Defence (Navy)at New Delhi. 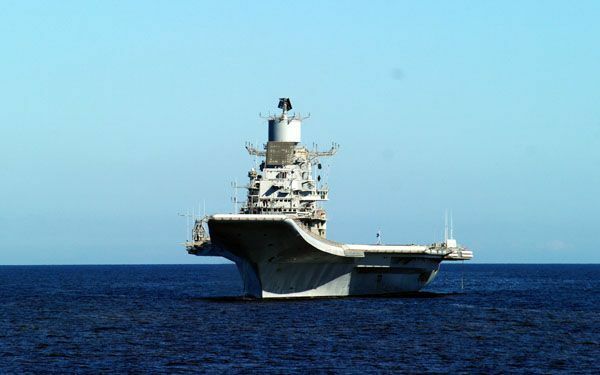 This at a time when the Indian Navy stands at the threshold of integrating a nuclear attack submarine INS Chakra and inducting a nuclear ballistic missile submarine viz the indigenously built ‘Arihant’. 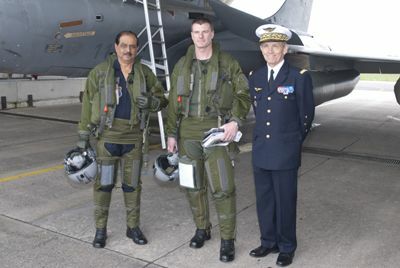 Air Chief Marshal NAK Browne, Chief of the Air Staff after a one hour sortie in the Rafale Aircraft at St. Dizier Airbase. Also seen in the picture are commandant (Squadron Leader) Kubiak Thierry, Commander of the Rafale Squadron and General Jean-Paul Paloméros, Chief of Staff of the French Air Force.